At this point, almost all browsers have similar speed when actually browsing the web, so “speed” actually comes down to the performance and how you use the program. For Mozilla Firefox users, this means the right settings, the right extensions, and tab management. Whether you’re already a Firefox user or switching from Chrome to Firefox, this guide will tell you how to speed it up. We’ll be sticking to the latest stable version of desktop Firefox for this one, although Firefox on Android has some cool features too. The number of vulnerabilities in Adobe Flash is not funny. If you haven’t uninstalled it, then you at least need to change it to “click-to-play” in your Firefox. Not only is this essential as a security measure, but it will also speed up your browsing as Flash elements on web pages won’t load automatically. You can change intricate settings in Firefox through its accessible Configs menu. We’ve featured a few essential Firefox tweaks already, but this time, we’re going to concentrate only on those that make the browser work faster. Alternately, download and install Speed Tweaks a.k.a SpeedyFox, an addon which does the same things as the tweaks listed above. But hey, why stress your browser with another extension when you can do the work? Firefox shot to fame because of its large collection of addons and extensions, and it enjoys that distinction even today. 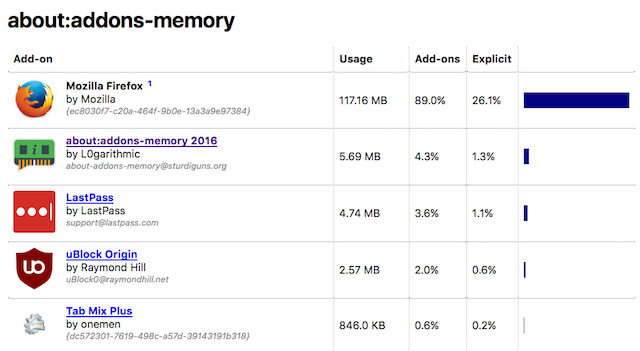 Unfortunately, addons also take up a lot of memory and slow down your browser. For example, there’s a well-documented case of how Adblock Plus drains memory. We’re not here to suggest you stop using addons. There are some incredible Firefox addons, after all. But you need to manage them. There’s a simple addon, called “about:addons-memory 2016”, which shows the memory usage of every addon you currently have. 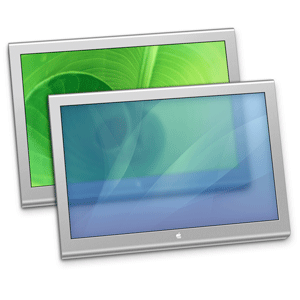 Install the addon, open a new tab, and go to “about:addons-memory” without the quotes. Here, you’ll see a list of all your addons and how much memory they are consuming. It works best when you’ve had Firefox open for some time and have been using it. Once you have your data, make the changes you need so that you can install lighter extensions or switch to bookmarklets. The new version of Firefox integrates addons like Hello and Pocket out of the box, whether you want them or not. I don’t know about you, but I haven’t used Hello even once. Or as usual, there’s a simple Firefox addon to get it done, but the manual way is always better. We’ve been saying this for quite some time now, but you should seriously consider the benefits of using bookmarklets instead of extensions or addons. Bookmarklets are lighter, safer, and work just as well as several popular addons. For instance, you can ditch the Pocket addon and install the Pocket bookmarklet to stop Firefox wasting RAM on Pocket till the moment you actually need to add a new page. Yup, otherwise, that extension is taking up RAM even if you don’t use it. We have a large list of bookmarklet alternatives to addons, so start replacing those extensions! Apart from extensions, the other thing that really slows down the browser is the number of tabs you have open. It’s all right to have several tabs open, but you need to manage them correctly to ensure Firefox doesn’t start crawling. Funnily, what you’ll need to accomplish this is two addons. You keep a lot of tabs open, but you don’t always need them all the time. Auto Unload Tab will automatically stop that tab from taking up CPU cycles, RAM, or from reloading. You can even set a maximum number of tabs to load in any session. Right-click in the tab or page to see a context menu with all the options you need. And yes, you can add individual tabs or certain sites to the blacklist so that they are ignored by Auto Unload Tab. It’s one of the must-have addons for faster web browsing. Oh OneTab, where would we be without you? 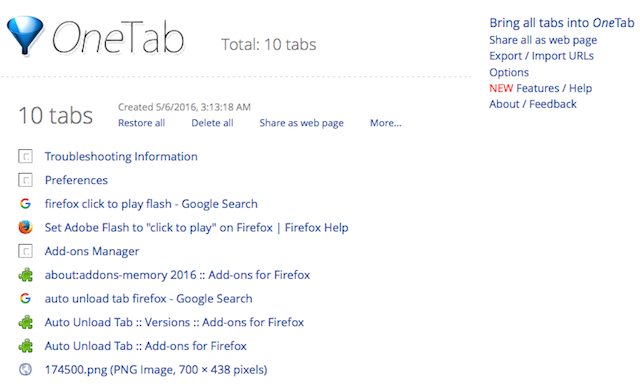 Available on all major browsers, this extension is one of the brilliant ways to manage tabs without losing them. One click of the OneTab icon and it will close all open tabs and and generate them as a list. You can reopen all tabs in another click, or just save the list so that it can be opened later. 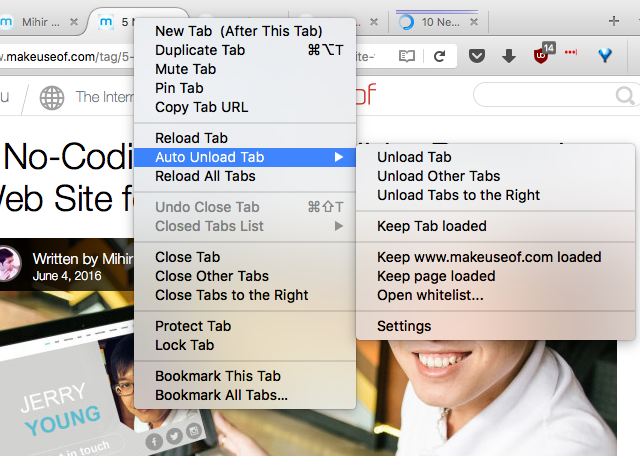 It’s a simple way to keep your browser light without dumping any open tab and desperately searching for it later. Have You Switched to Firefox? 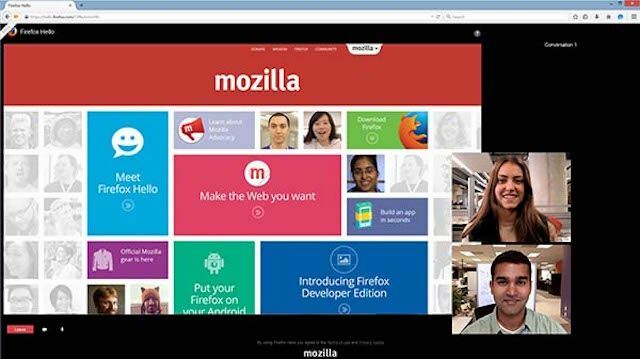 The most recent BrowserStats report showed that Firefox has finally overtaken Microsoft’s combo of Internet Explorer and Edge, making Mozilla’s app the second most popular browser in the world now. So, we wanted to know, have you switched to Firefox? Do you think you’ll use some other browser or stick with it?